Kenneth Burke, founder of the critical method of dramatism, believed that motives and attitudes are constantly generated by individuals as they encounter social situations and material objects in the course of their everyday lives. In The Rhetoric of Emotions, Robert Perinbanayagam proposes that by analysing individuals' experiences, especially through their interaction with creative outlets, we can come to a deeper understanding of how the human mind systematically approaches the emotive process. The author maintains that individuals use spoken language, and all other forms of symbolism, including art and literature, to elicit social cooperation and emotional understanding, both in regard to the world around them and within themselves. Rhetoric and culture are mechanisms for managing values, behaviour, and emotions. 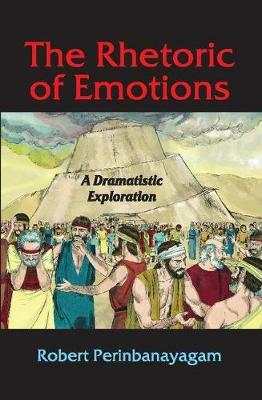 In order to ground this philosophical viewpoint, Perinbanayagam strategically discusses famous novels and paintings to show how individuals construct emotional responses to the rhetorical objects at their disposal. In addition to the ideas of Burke and George Herbert Mead, the ideas of Max Weber, Georg Simmel, Charles Sanders Peirce, Edmund Husserl, Alfred Schutz, and Erving Goffman are also reflected in this provocative analysis.